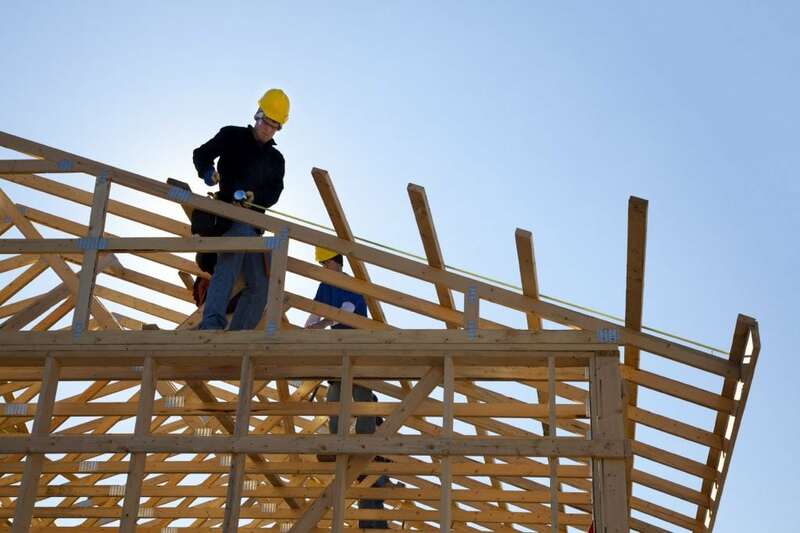 Strong demand and a slim supply of affordable, existing homes for sale has the nation’s homebuilders feeling better about their business. A monthly index of builder sentiment rose two points in May, one point higher than analysts expected. The National Association of Home Builders sentiment index now stands at 70. Anything above 50 is considered positive. A monthly index of builder sentiment rose two points in May, one point higher than analysts expected. The National Association of Home Builders sentiment index now stands at 70. Anything above 50 is considered positive. April’s reading was revised down one point to 68. The index stood at 69 in May of 2017. Prices for newly built homes continue to rise, as builders focus more on the move-up market as opposed to the entry-level, where so much of the demand currently exists from millennial homebuyers. Builders point to higher costs for land, labor and materials, as making it too difficult to profit on low-priced homes. Of the NAHB index’s three components, current sales conditions increased two points to 76 in May. Buyer traffic and sales expectations in the next six months remained unchanged at 51 and 77, respectively. On a three-month moving average for regional scores, the West and Northeast held unchanged at 76 and 55, respectively. The South and Midwest each fell one point to 72 and 65. Previous Post Downsizing your home: How to determine if a smaller house is the right move Next Post Will smart home tech make us care more about privacy?